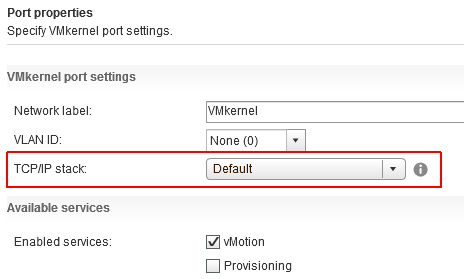 Obviously, the health check is unable to bind to the vMotion VMkernel adapter which seems to be a similar error as when you are trying to use the ping command for a non-standard network stack instance, without using the -S parameter to set the corresponding stack. The problem is a documented known issue in the vSAN 6.6 Release Notes. 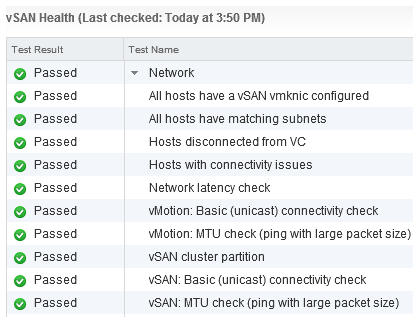 The vMotion network connectivity test (Cluster > Monitor > vSAN > Health > Network) reports ping failures if the vMotion stack is used for vMotion. The vMotion network connectivity (ping) check only supports vmknics that use the default network stack. The check fails for vmknics using the vMotion network stack. These reports do not indicate a connectivity problem.